Working in partnership with law firm Morton Fraser, we have arranged a free legal advice service providing access to expert help on all HR and employment issues. We encourage employers to pursue best practices to increase the representation of women in STEM and ensure they have positive work cultures, but we know there can be hesitance in taking these issues forward, as such we have developed this partnership to help you take bold steps and be a model employer. Morton Fraser offers a free 20 minute phone call during which they can discuss the issue and provide initial advice. If you require further assistance, they can discuss their fee arrangements with you. For more information on their services please click here. If you are an employer and would like expertise, you can call Sarah Gilzean on 0131 247 1157 for a brief review of an employment issue. 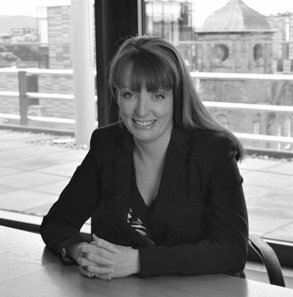 Sarah is a Senior Associate in the Morton Fraser Employment Law team. Sarah has specialised in employment law for 15 years and has acted for a wide range of employer and employee clients in the public and private sectors. She gives practical, easy to understand advice and is focused on achieving her client’s objectives at all times. Sarah has particular expertise in discrimination and equal pay and has acted in the largest equal pay case in Scotland. She regularly appears in the Employment Tribunal and is frequent speaker at conferences and training seminars on employment law and discrimination topics. She is a member of the Scottish Discrimination Law Association, the Employment Lawyers Association and the Law Society of Scotland Equalities Law Reform Subcommittee.